Anyone unfamiliar with the sci-fi adventures of Optimus Prime, Bumblebee, Megatron and gang, probably won’t be attracted to the Transformers Battle For Cybertron pokie from IGT, but for the millions of people who were brought up on the 1980’s cartoon series, bought the toys and now enjoys the movies, this is a game they won’t want to miss. Filled with high-quality renderings of the main characters, along with the iconic emblems of the good Autobots and bad Decepticons, this follow-up to the Transformers Ultimate Payback pokie sees a whole new set of symbols, features and bonuses playing out over the 5 reels and 40 paylines. Although there’s 40 lines running from the left side of the reels, the minimum stake is 0.60, which is down to the rewarding features, while up to 500.00 per spin can be staked by those with a greater appetite for risk. Above the control buttons, there’s the reels themselves, which are superimposed on a picture of Cybertron, (the homeworld of the Transformers, for anyone who isn’t up to speed on their sci-fi geekiness), and there’s lots of mechanical effect animations in play in this well-designed game. The images are not directly related to the movies, but are still quite realistic and when 3, 4 or 5 of the same type fall across a payline, on adjacent reels running from the left, players will win something. Unlike normal pokies where symbols are connected to reels that spin from the top down, in this game the Freefall feature has been adopted, where the screen clears at the beginning of a spin and symbols drop down from above into their positions. Any that make up part of a winning combination will the vanish, which leaves empty spaces for any above to fall into, while new symbols will appear from the top of the game. If this leads to another winning line being formed, the process gets repeated, over and over until a combination with no wins is on the reels. In effect, players are getting a free spin, without the hassle of having to trigger a bonus game. Payline wins include 10x, 20x or 100x the line bet when the Decepticon symbol stops on 3, 4 or 5 reels, with the Autobot logo worth the same, Shockwave and Bumblebee pay out 10x, 60x or 300x, while Megatron and Optimus Prime are each valued at 60x, 200x or 800x. 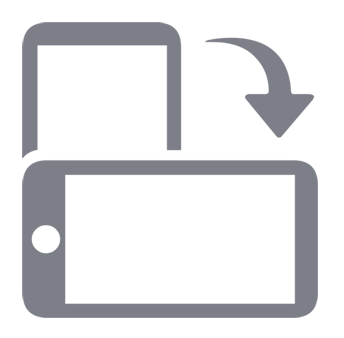 The Transformer logo is by far the most valuable symbol however, as landing this across 3, 4 or 5 reels will result in a payout of 100x, 500x or 4000x the line bet. There’s plenty of bonuses here, some of which occur in the normal run of play, some of which are triggered randomly, and some that need special combinations to appear before they begin. The Allspark is the source of the Transformer’s power and when this purple cube symbol appears, it can act as a wild, substituting for anything apart from the Bonus to help complete winning lines. Mystery Features can turn up after any spin and will often lead to a further win, as different Transformers destroy different symbols, triggering another Freefall. Optimus Prime destroys any Decepticons on the reels, Megatron destroys Autobots, Grimlock and Shockwave will remove random symbols, and Ratchet will add a third Bonus to the reels if there are just 2 of them in view, triggering the free spins round. Anytime 3 or more Bonus symbols appear, whether our friend Ratchet has helped or not, players are taken to a free spins game, which can be played out in several modes depending on their own preferences for the number of spins, or multiplier values. Anyone choosing the Megatron free games will play just 5 spins, but any wins will be multiplied by between 8x and 10x, Optimus Prime will award 8 spins with a 4x to 10x multipliers, by selecting Shockwave, players get 12 spins with a 3x to 5x multiplier and lastly, Bumblebee is worth 15 free spins with any wins during them multiplied by 2x to 4x. 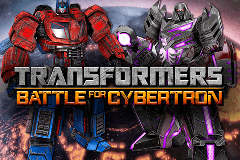 Whether someone is a fan of the original series or has only seen the movies, Transformers Battle For Cybertron should be an essential game on their list of pokies to play. It’s got impressive graphics, the potential for multiple wins in a single spin with the Freefall feature, and a couple of nice extra treats when the right symbols turn up. Perhaps it’s a pity that actual images form the film couldn’t be used, but there’s probably some very good copyright reasons for that, and this remains a top-quality game.